A strawberry and custard, cream filled cake under a marzipan dome. 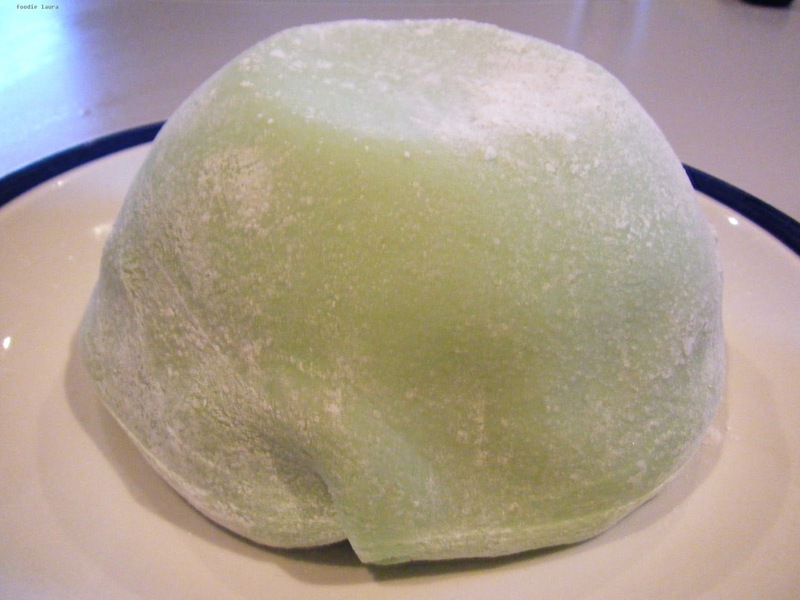 I know a simple cream version of this cake as Festival Gateau but I've only ever been able to find it in Morrisons supermarket and a search online proved fruitless, perhaps you know this marzipan dome cake by another name? There is an abundance of strawberries at the moment and with Wimbledon coming up, I wanted to make something a bit more special than the usual strawberries and cream. 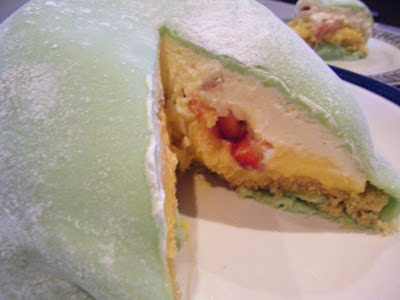 Adding strawberries to this gateau made me think of the Japanese sweets yuki ichigo (snow strawberries) they are individual cream treats with a sponge base, they contain a whole strawberry covered with cream and a dome of sweet mochi (pounded sticky rice). My layered gateau is a hybrid of the festival gateau and yuki ichigo, it's a simple sponge base topped with thick custard, cream and a ring of fresh strawberries covered with a green marzipan dome. I don't have the fineness of touch that patisserie usually commands but this cake is fairly forgiving. There are several layers in the gateaux but they are all simple ones and you can prepare most of them a day in advance. 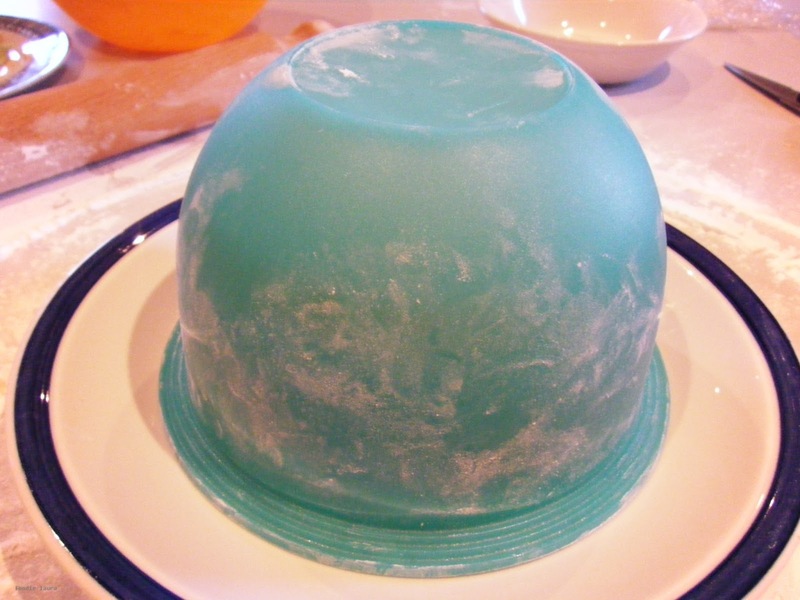 I used a small Tupperware expression bowl to create the dome shape, any small round bowl with a deep dome would work. Start by making a thin sponge round. Cream the butter, eggs and sugar then add the flour and baking powder. Bake at 200c for 15 minutes. This is a small quantity of sponge batter for the thin sponge base, don't worry if it doesn't rise over the cake tin. 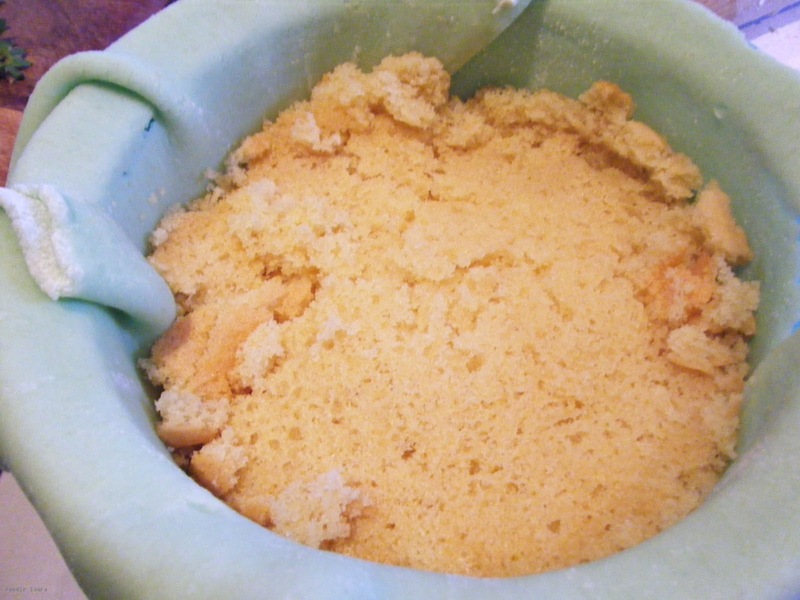 Once the cake has lightly browned, is springy to the touch and you can dip a cocktail stick in it that comes out cleans, transfer the cake to a wire rack to cook. While the cake is cooking make up the custard. 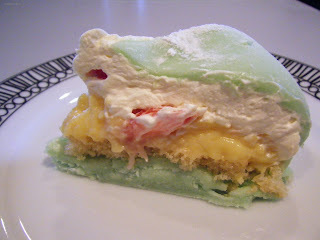 The custard needs to be thick so it does not run out of the cake. 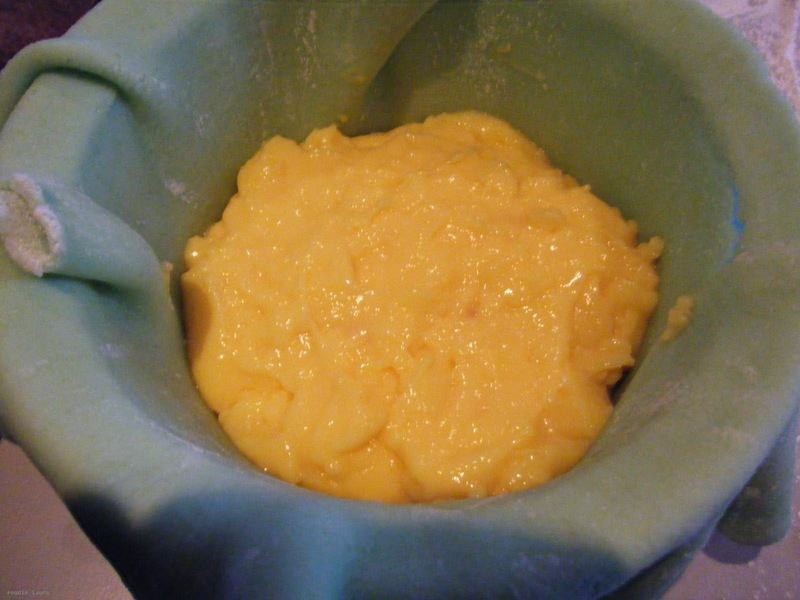 Mix 2 tablespoons of the milk, the custard powder and a tablespoon of sugar together to make a paste. Warm the remaining milk over a medium heat until it comes to a light boil. Add the custard paste, stirring continually until a thick custard forms continue stirring over the heat for a further 2 minutes to cook out the cornflour which is in the custard powder. Set aside to cool and cover with cling film. The cling film should touch the custard to avoid it developing a skin. The marzipan is easier to handle and less likely to stretch and split when it is chilled. 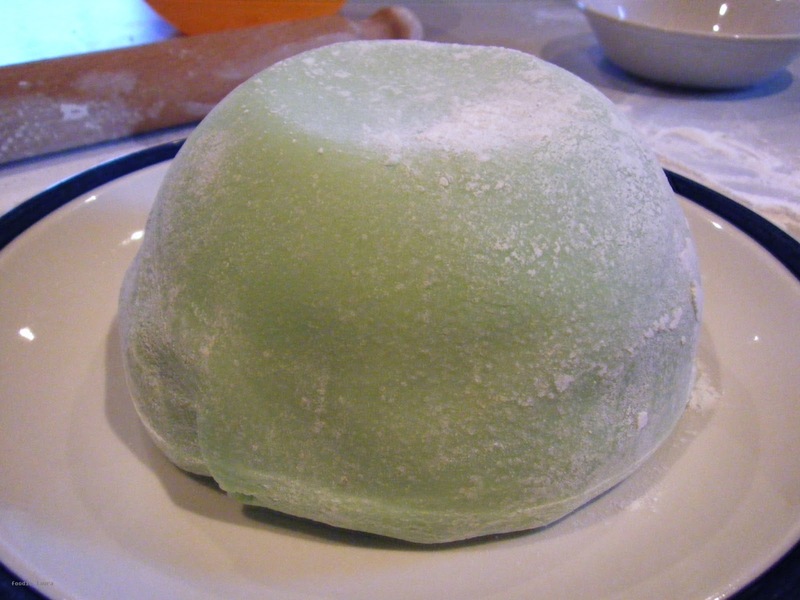 Work the food colouring into the marzipan, kneading it through until the colour is evenly distributed then wrap tightly with cling film and refrigerated until you are assembling the cake. All of the above steps can be prepared in advance. Slice up the strawberries into strips. If you have particularly sour strawberries you can add a teaspoon of caster sugar to sweeten the cream but unless that is the case I think you'll find that there is already plenty of sweetness in the rest of the gateau. Trim the sponge base to the same size as the widest part of the dome bowl. Make a stencil out of baking paper if you need a guide. Coat your dome shaped bowl with icing sugar, this is to stop the marzipan sticking to it. Roll the marzipan out thinly. 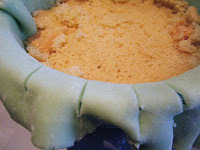 Use icing sugar again to coat the worktop and rolling pin to stop the marzipan from sticking. Lay the marzipan lightly over the top of the bowl and gently press it down into the bowl. 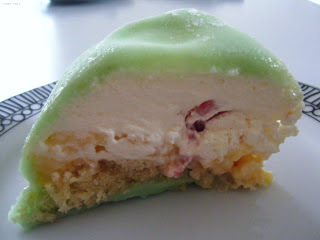 If you do have issues with the marzipan tearing re roll it and make it a little thicker. 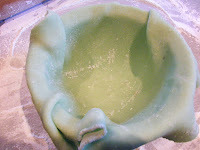 The weight of the cream will also help to pull the marzipan down into the bowl. Spoon half of the cream into the bottom of the bowl. Add the sliced strawberries in a ring. 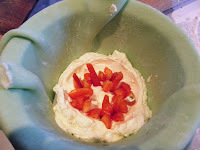 Cover the strawberries with a final cream layer. Spoon in the custard to create another layer. Place the sponge on top of the custard. Cut the protruding marzipan into strips of around 2cm. Fold these strips over the sponge base, trimming off any excess. The moment of truth, place your serving plate over the top of the bowl of and flip the gateau over to turn it out. Remove the bowl to reveal your marzipan dome.